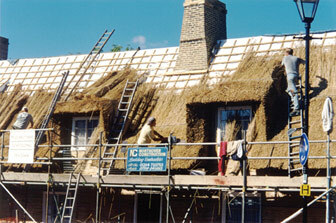 If you own a home with a thatched roof, you will find here all the information and advice you will ever need. We have a specialist thatch house insurance division; we offer advice on owning a listed building; contact details for roof thatchers in your area; financial advice on grants for re-thatching and VAT exemption for owners of listed buildings; fire safety information and products and a complete directory of all the specialists products and services you could ever need for your perfect thatched cottage. We will provide advice and assistance in the renovation and repair of your thatched house, and have a network of advisors and specialists on hand to give you, the homeowner, the help you need. Thatched cottages still represent a traditional image of rural life that is instantly recognisable around the world. 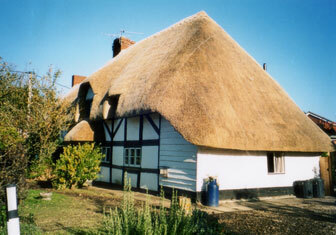 For many, owning a typical thatched cottage represents the epitome of rural England. The Thatched Owners Group is here to help you enjoy living under thatch, wherever you may be in the UK. © Copyright 2006 Thatched Owners Group. All rights reserved.